Franz Hecht was born in Brunswick, Germany in 1877 and trained in Munich and Paris. His graphic work was commissioned in the second and third editions of the prestigious 'Der Ganymed-Mappe' ('The Ganymed Portfolio'), a collection of independent engravings by artists including Max Beckmann, Wassily Kandinsky and Lovis Corinth, published in Munich in 1922 and 1923. Little is known of Hecht’s later life including the date of his migration to England. 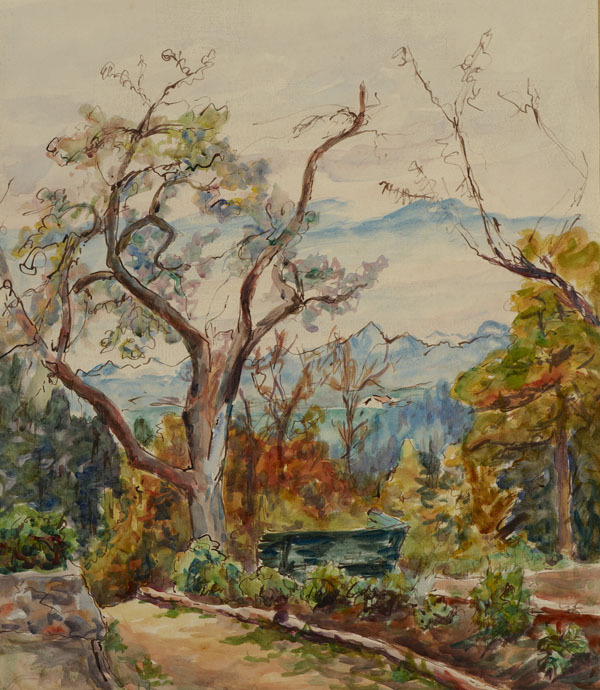 Painter and graphic artist Franz Hecht’s career has fallen into obscurity but his surviving works, including Mountain Landscape, are primarily in the Impressionist manner.